automatic loading/unloading device) with laser cutting machine to achieve automatic loading and unloading sheet metal, automatic separation of finished material and waste material. More economical and safer production. 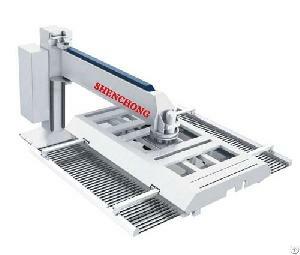 Company Name: Wuxi Shenchong Forging Machine Co., Ltd.